The 16th annual Oxford Film Festival began yesterday, celebrating the art of independent cinema. OFF hopes to make the five-day event accessible and affordable to all working closely with the University of Mississippi, and students have opportunities to get involved and attend the event. 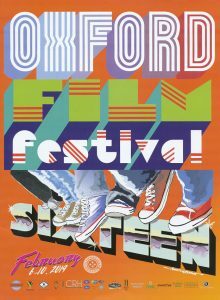 The festival provides a space for up-and-coming filmmakers around Oxford to showcase their work, and Ole Miss, one of the festival’s major sponsors, will host tonight’s programming at the Gertrude C. Ford Center. The university’s partnership with OFF makes for more opportunities for students to attend or otherwise get involved. This year, OFF added a student-exclusive VIP pass that college and high school students can purchase for access to all five days of the event. Students can have the full VIP experience for $50 — access to all films, workshops, parties and the green room. In these spaces, student film enthusiasts can network with big-name filmmakers, writers and directors. There are also several free panels, and tickets can be purchased for individual screenings. Besides student discounts, each year OFF finds Ole Miss student interns in a variety of fields, including production, event planning and marketing, to help put on the festival. This year’s class of student interns is one of the biggest in the festival’s history. Sophomore film production major Lucinda Roberts works closely with the festival’s directors and helps to film and edit events to promote the festival. “Through this opportunity, I am really getting a sense into what my future career will be like, and I am learning so much,” Roberts said. Junior integrated marketing communications major Anna Davalos said the “fun” festival internship is a great way for those interested in the film industry to network.